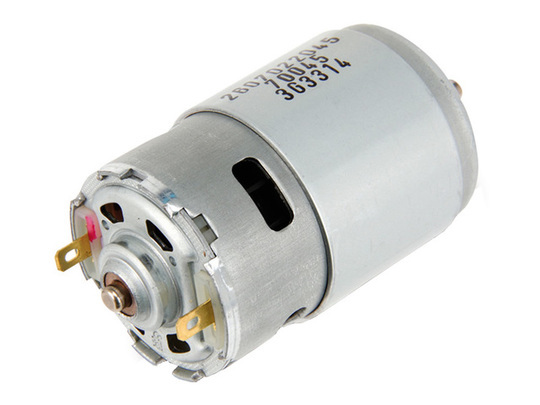 High powered brushed electric motor rated for a nominal 18V DC. The body is a '775' can type, approximately 45mm diameter by 77.5mm long, with a 5mm diameter output shaft. This is the same motor as featured on our GR-EP-45 model gearmotor. 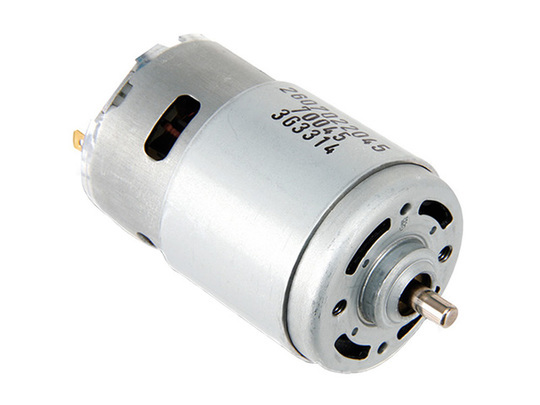 This motor, due to the high speed and torque output, is typically used in cordless power tools, industrial equipment and robotics drive systems. The rear of the motor houses a built-in cooling fan which is crucial to enabling the high power output from the motor, be sure not to obstruct the vent holes so that hot air can escape. 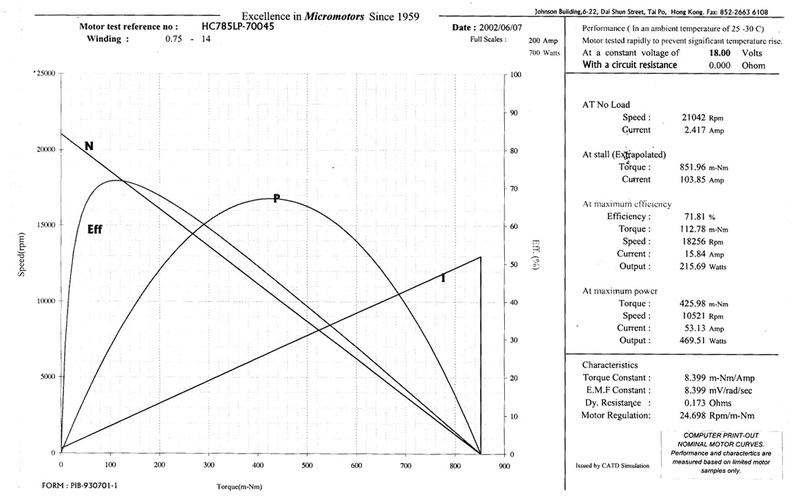 Ensure that any power and control electronics used with the motor are rated to handle the high currents that the motor can demand, as set out in the operating specifications. The motor is available either with plain copper connecting tabs (two tabs on the rear of the motor which can be soldered or crimped onto), or it can come supplied with 500mm long silicone-insulated leads, red and black. Allow for one extra working day to process your order if a lead option is added, since these are soldered and insulated to-order.